They are saying that the attack in Canada was because it was supporting the USA is sending troops to fight against ISIS. 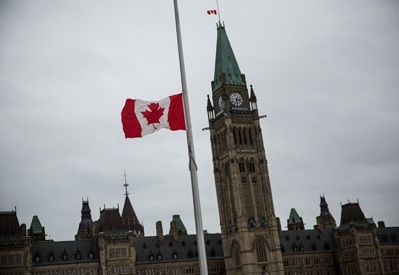 Canada did pass a bill to launch combat mission against ISIS 157-134 in House of Commons. The European powers are very much afraid to do so because of domestic high Muslim populations. What took place in Canada does illustrate the risks of a religious war. Japanese pilots would crash their planes into ships because they believed the Emperor was the virtual son of God on Earth. What someone believes if paramount.